Our Quilt Holders keep your fabric off the floor and out of the way. 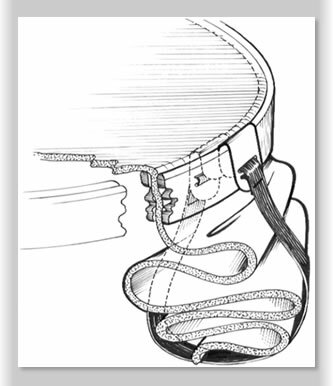 Simply hook one end of the cradle to the inside of your hoop or frame; roll the excess material up; reach under and take the other end of the cradle; and, bring it up and hook the end over the top of the outer frame. 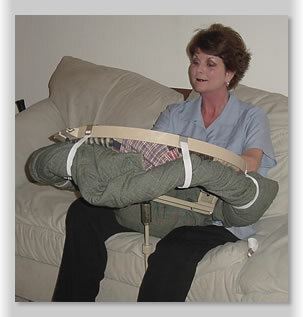 The cradle is made of stainless steel hooks and 3/4” elastic. There are 6 cradles to a package. Use the Quilt Holders with our unique Craft Stands.